Just wanted to share a pic of one of my birds. This is Jet and he is the sweetest baby. Thank you! Yes no doubt this is a male. I just like to show him off because I think he's gorgeous. Last edited by FaeryBee; 02-22-2019 at 06:46 PM. Oh so adorable . Love the soft colors! Aww, he is precious. I would love to have one like him. 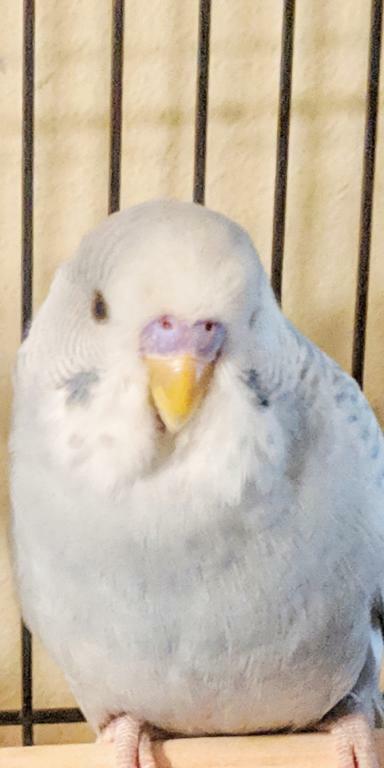 Oh so adorable <img src="https://www.talkbudgies.com/images/newsmilies/love-smiley-015.gif" border="0" alt="" title="Love Smiley 015" class="inlineimg" />. Love the soft colors! Thank you! He is unique and such a sweet boy.